We believe that God has used the challenges of these past few years to stretch us and prepare us for a great ministry ahead. We have continued to build our team, we have improved our facilities and we have committed ourselves in every way that we could to be ready as God’s future directions for this congregation emerge. 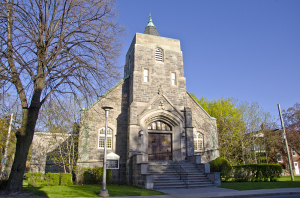 We are already one of the fastest growing congregations in the Presbytery of Montreal and we believe that God will continue to lead us to new life and new vitality as we faithfully share our faith in Jesus Christ. We believe that we are strategically located to have a great impact in the community of Montreal, but realize that fulfilling our calling will likely require thinking in new ways and trying new approaches. We are ready for that. While we look to the Presbytery of Montreal, to our sister congregations within it and to the national church for support, we ultimately rely upon God and the power of his Spirit to bring new life to our congregation and to those whose lives we are privileged to impact. ‘Living in grace and growing in Love’ is the congregation’s vision and will be lived out through its missions.